I love to plan out my vacations, down to where I’m going to get coffee in the morning. But some days, you just need to let Hawaii happen and see where the road takes you. When I was on the Big Island with a friend a few weeks ago, we spent one night in Kona and the rest of our time in Hilo and Hawaii Volcanoes National Park. On the way from Kona to Hilo, we passed by the Hawaii Tropical Botanical Garden. We were about to drive right by, but on a whim, we decided to stop. I’ve been to all of the botanical gardens on Oahu, so I thought that I had an idea about what I was in for. But Hawaii Tropical Botanical Garden was by far the most beautiful botanical garden I had ever seen – anywhere. This garden is in a tropical rainforest, with bubbling streams, beautiful waterfalls, and views of the Pacific coast. 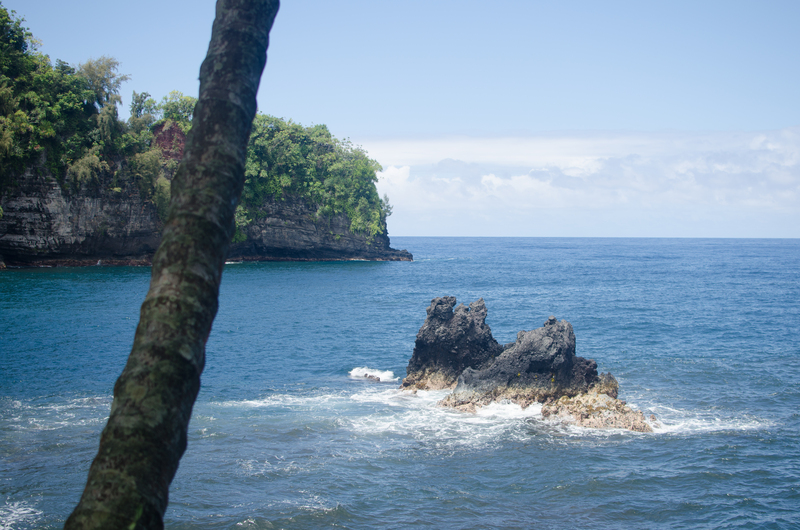 After spending hours there roaming around and looking at everything, I can verify that this is a must-do if you are visiting the Big Island. Don't forget to look down at the beautiful foliage! 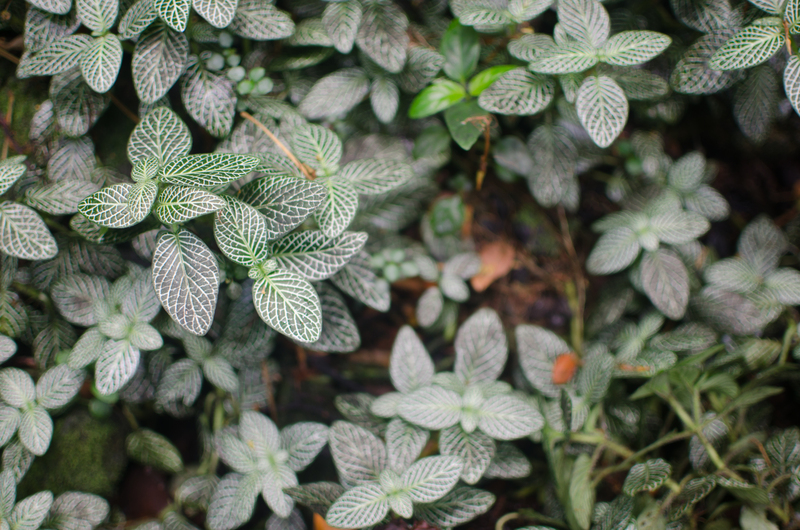 Everything in the Hawaii Tropical Botanical Garden is beautiful. I have to include a little bit about the history of the garden in this post because I thought was so interesting. There is a small section at the beginning of the garden that talks a little bit about their history. Dan Lutkenhouse and his wife, Pauline, discovered Onomea Valley in 1977 while on vacation. Won over by its beauty, they purchased the land but didn’t know what they were going to do with it yet. Dan decided that he wanted to preserve the land, so any commercial ventures were out. Instead, he decided to create a botanical garden to preserve the valley forever. When they bought the land, it was an overgrown jungle – you couldn’t even walk through it. So, Dan sold his trucking business in San Francisco, and the couple moved to the Big Island so that they could devote their time to creating the garden. Every day for eight years, Dan worked in the garden with his assistants. They did all of the work by hand so that they could preserve the natural environment. He did not want to destroy and plants or tree roots, so he did everything very meticulously and slowly. For example, he used wheelbarrows instead of tractors, and he used the natural contours of the land to create the trails. As we walked through the garden, I was amazed at the size of it and at a number of plants that I had never even seen before. 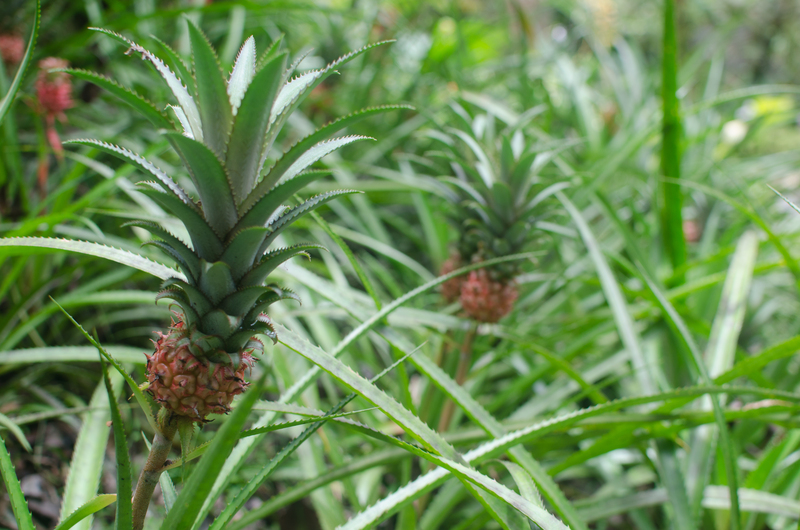 The garden has a collection of over 2,000 species of tropical plants from all over the world. The garden’s 40 acres are the perfect place for plants to grow because they contain fertile volcanic soil. My friend said it was the most beautiful place she had ever been. You begin by walking through a forested area. There are a few different paths you can go on, but they all lead you back to the main trail, so you can see everything if you want to. We started along the Palm Vista Trail and took the Palm Jungle Trail. The Palm Vista Trail in the Hawaii Tropical Botanical Garden. 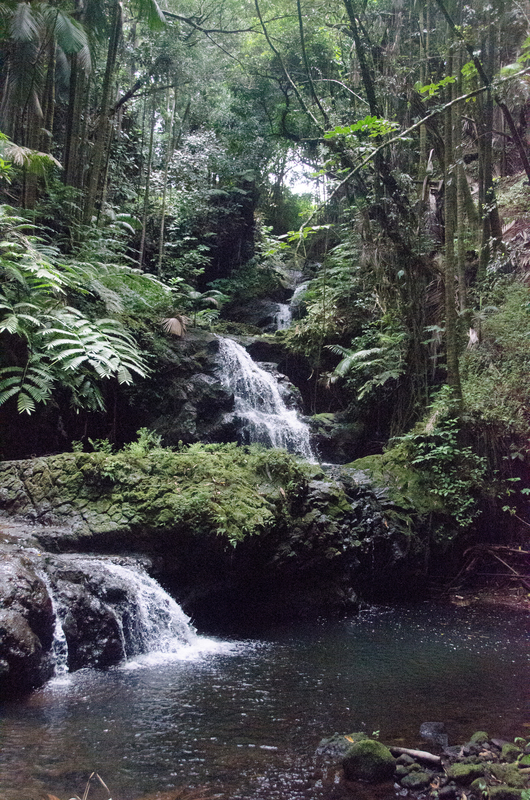 We followed signs for Onomea Falls and ended up at this beautiful three-tiered waterfall. Dan Lutkenhouse discovered this natural waterfall years after he had already started work on the garden. Onomea Falls is one of the most serene waterfalls I have ever visited. After that, we kept going, stopping every few feet to take more and more pictures. I was in awe of the beauty of the flowers and the trees. 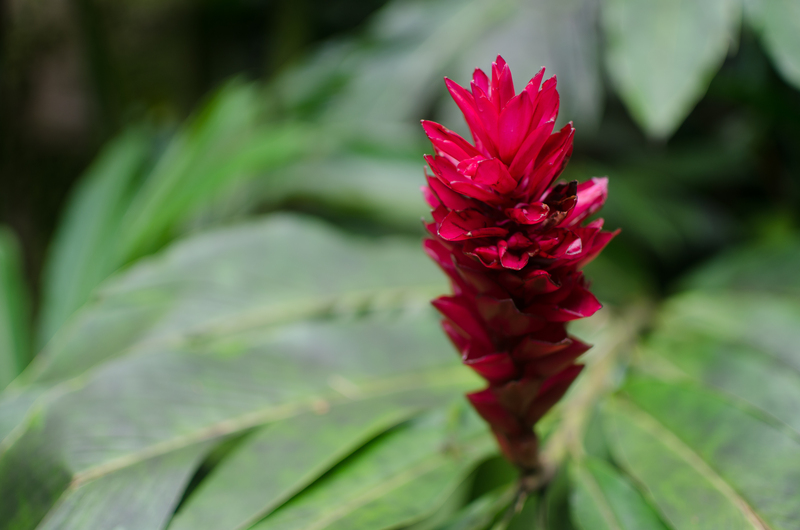 We went on the Heliconia Trail, with more than 80 different species that grow in a variety of shapes and colors and can get up to 20 feet high. The Heliconia Trail has beautiful, unique flowers. From there, we went to Banyan Canyon, where we saw a banyan tree. We didn’t follow a map. Instead, we went wherever the trail led us. We came across Orchid Garden, Bromeliad Hill, where we saw dwarf pineapples, a birdhouse with macaws, and Lily Lake. Finally, just when I thought the garden couldn’t get any better, we got to the oceanfront trail and this overlook of the Twin Rocks. It was an incredible sight, and I am glad that there were benches where we could sit for a while to take it all in. From there, we headed back, stopping to look at things we had missed along our first route. The Garden is open from 9:00 a.m. to 5:00 p.m. every day, except Thanksgiving, Christmas and New Year’s Day. Admission to the garden ends at 4:00 p.m. The tour is self-guided and usually takes about an hour and a half, with a walking distance of a little over a mile for the entire round trip. Wear sneakers or comfortable walking shoes. Admission is $18 for adults, children ages 6 – 16 are $5. Children under 6 are free. The boardwalk is not wheelchair accessible. The garden provides golf carts to transport wheelchair-bound visitors with their companion and their wheelchairs up and down the boardwalk. Once you’ve exited the boardwalk, you may use your wheelchair through most of the garden. The garden only permits non-electric wheelchairs entry into the garden. For a $5 fee, golf cart assistance is provided to those visitors that are not wheelchair-bound but otherwise physically limited. 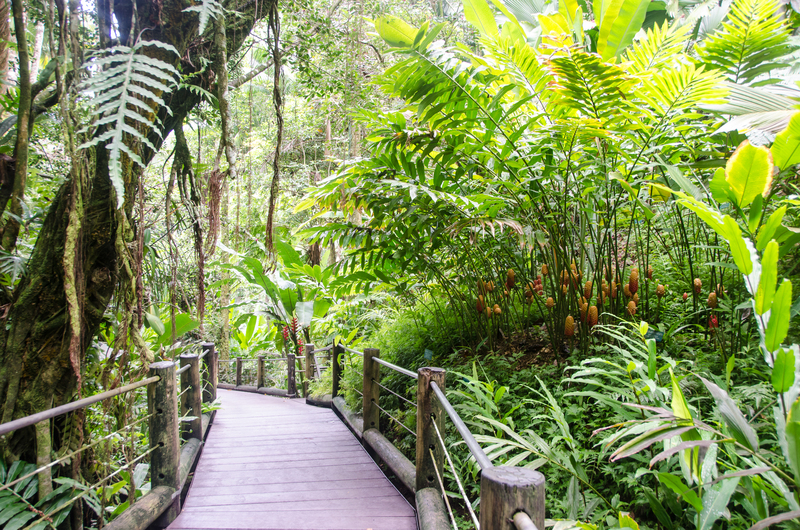 Don’t miss the Hawaii Tropical Botanical Garden during your trip to the Big Island! For more insider tips and help planning your next vacation to Hawaii, give our travel agents a call today!